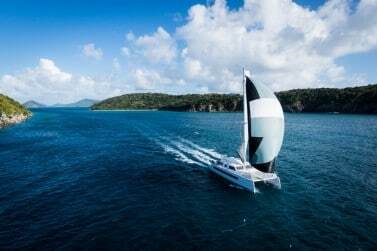 The highly proven Catana 62 has evolved from the very successful state-of-the-art Catana 59 of which there are now many sailing all over the world. The 62 is truly at the leading edge of semi-custom catamaran construction with exceptional performance; she is strong and light due to the extensive trademark use of carbon-infusion and other lightweight materials at the forefront of modern multihull construction. 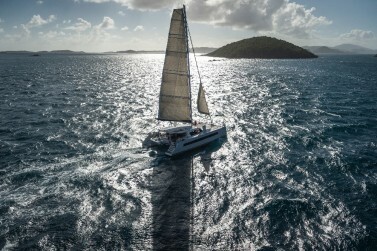 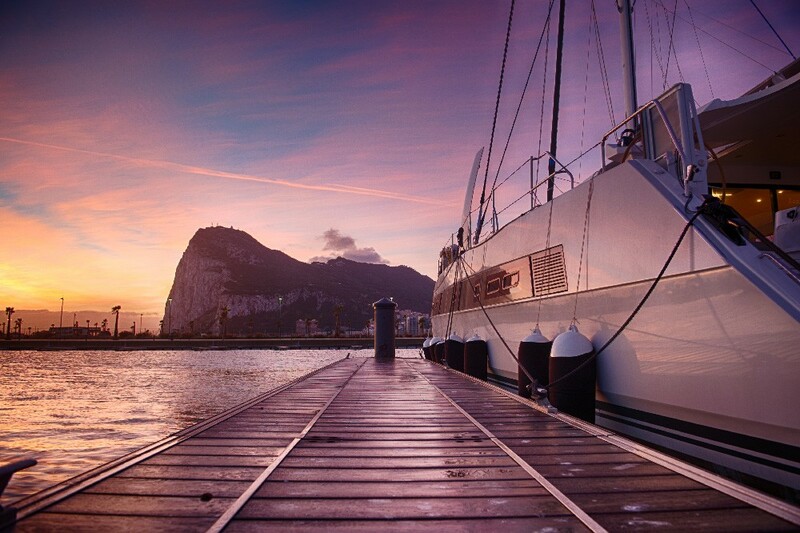 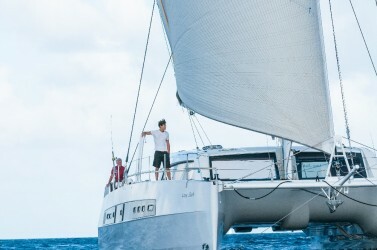 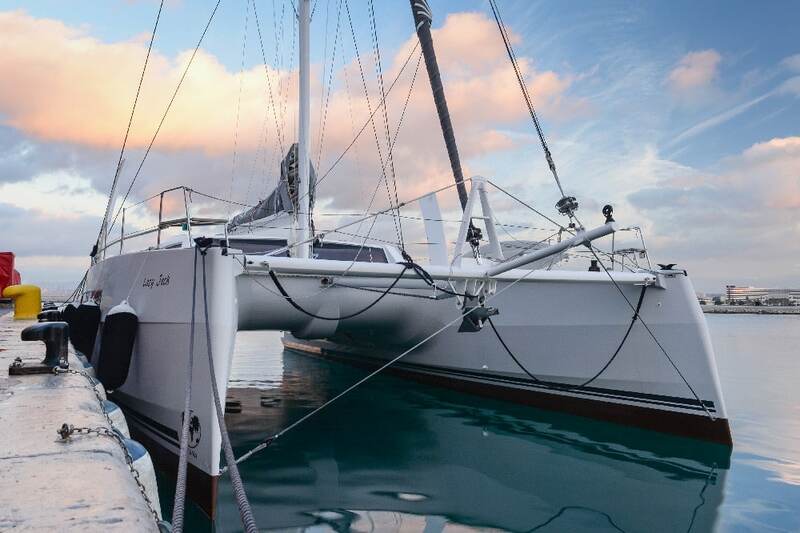 The high freeboard, high-volume hulls, state-of-the-art curved dagger-boards are a proven staple of the Catana yard who have developed this style of catamaran over nearly 35 years. 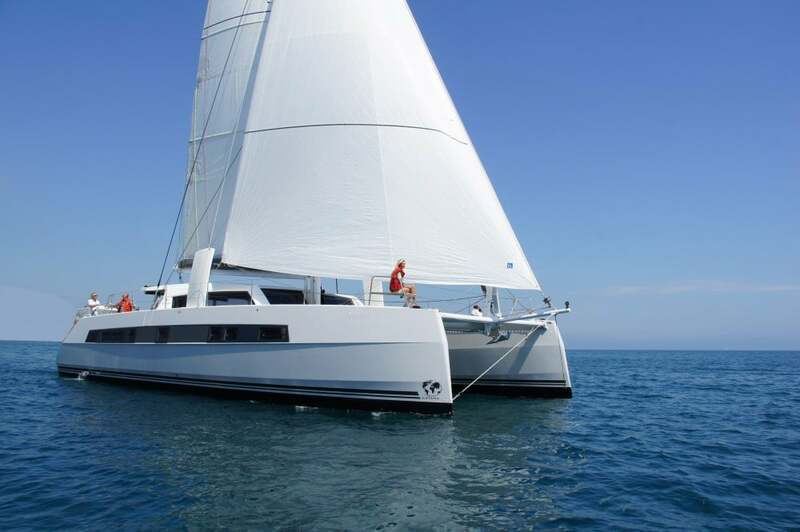 Outside, the Catana 62 has a sleek and racy style with it’s reversed bows, wide uncluttered decks and the latest curved dagger-boards to give hydrofoil lift. 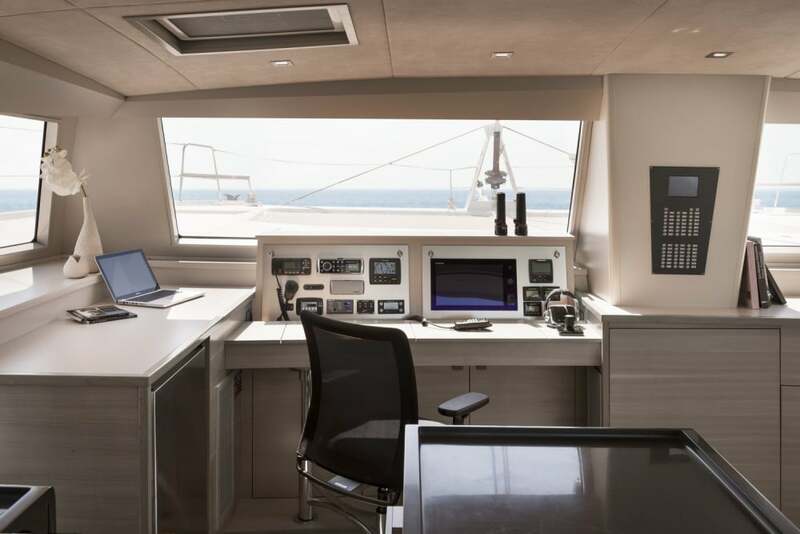 The new hull designs have been thoroughly tested and perfected over a long period in full ocean conditions and have performed better than any previous generation, which had already a well-proven track record. 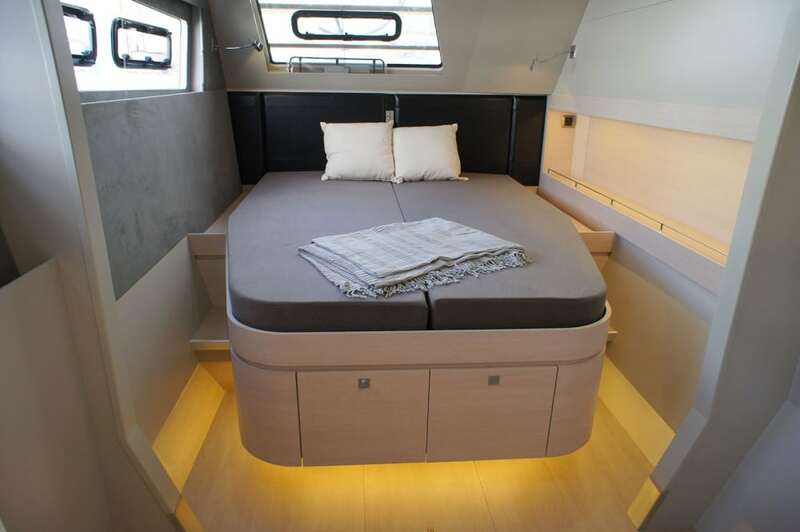 The interior of the 62 is one of the most highly innovative of any catamaran and sets the bar for new levels of space, comfort and style – as now adopted by the impressive Catana 53. 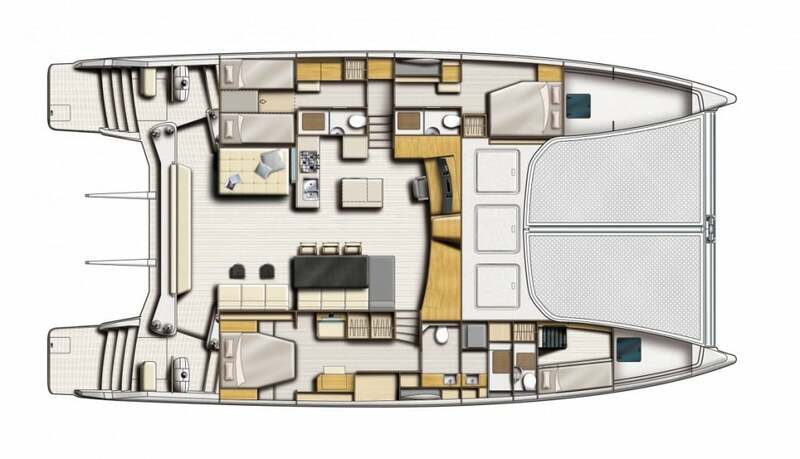 The flush design of the saloon and cockpit allow for great ease of movement and flexible use of this adaptable space to reflect each owners personal use. 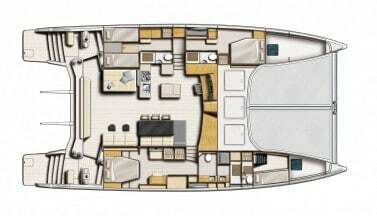 As with all the latest designs from Catana there is 360-degree visibility from the saloon and both helm positions. 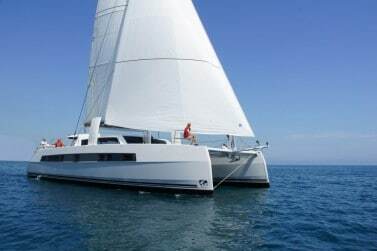 This is a truly a fantastic catamaran, an ocean greyhound capable of consistent high speeds over long periods in perfect comfort and security. 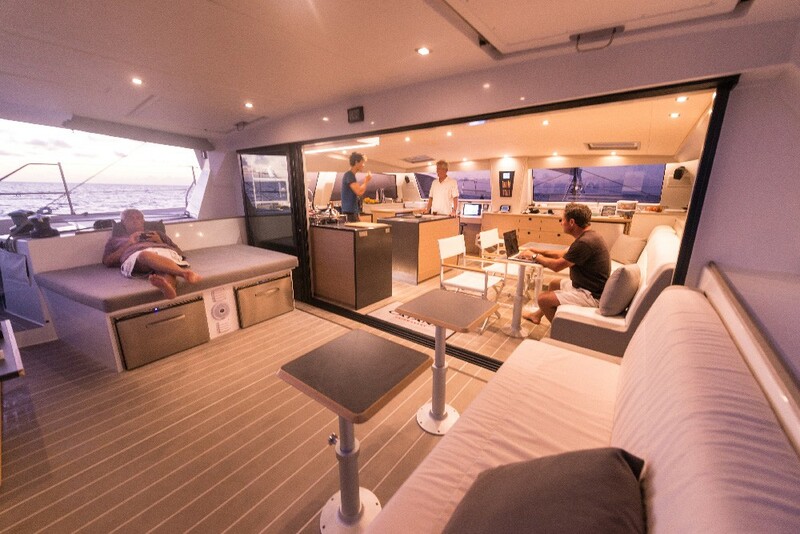 An exceptional yacht by any measure.